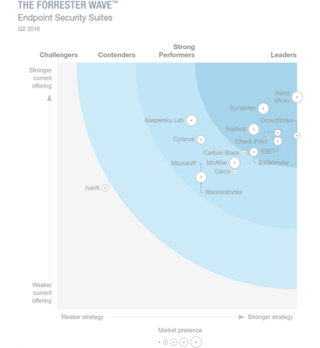 ESET is among the select few companies that Forrester invited to participate in its Forrester Wave™: Endpoint Security Suites, Q2 2018 evaluation. This prestigious, respected and independent analyst report assessed the 15 most significant endpoint security suite providers on their capacity to prevent, detect and remediate endpoint threats. We are proud to announce that ESET is positioned as a leader receiving the highest scores possible in the corporate vision and focus, security community involvement, platform support, and licensing partner presence criteria. 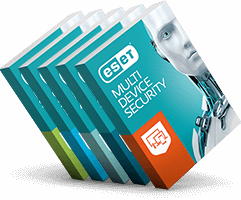 In the report, Forrester notes that “ESET combines threat prevention and detection with a focus on user experience“, and is “best for enterprises looking for a full suite that requires low expertise for operation“. Being named ‘a leader’ is, we believe, a recognition of ESET’s unswerving commitment to quality, common sense technological innovation and above all, to putting the customer first. Download your complimentary Forrester report now and learn more about what we consider to be ESET’s stellar performance, approach and our vision for the future.